Bali Traditional Tour Saha Dewa Barong performs every day at Chandra Budaya stage in Batubulan village. They perform Barong dace which very famous dance stage. 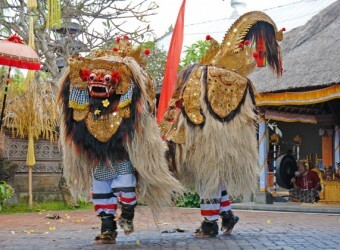 Barong dance is a lion like character in the mythology of Bali. The battle between Barong and Rangda is featured in Barong dance to represent the eternal between good and evil.